Cost: Fee per session: $3 per child. Join us in our hands-on outdoor learning space. 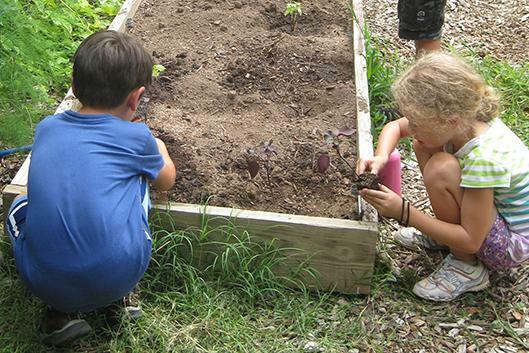 Each week a staff member will guide families through an exploration of all things connected with growing plants, including digging, using tools, planting, watering, weeding, managing pests, harvesting, tasting and composting. In the Charlotte Brody Discovery Garden, learn about fruits and vegetables and how they grow. Plant, harvest and taste seasonal produce and explore different ways to use herbs. Hear stories, play games and make art inspired by the garden. For parents and children together, ages 3 and older. Dates: 6 Thursdays, April 12-May 17, 3-5 p.m. Location: Charlotte Brody Discovery Garden. Fee per session: $3 per child. A season pass for all six dates is available for $15 per child. Parking pass included with advance registration. Information/registration: 919-668-1707 or gardenseducation@duke.edu.